The Well-Read Redhead: 2 Mini-Reviews and They Are Both AWESOME. 2 Mini-Reviews and They Are Both AWESOME. So busy around here these days, reader friends! 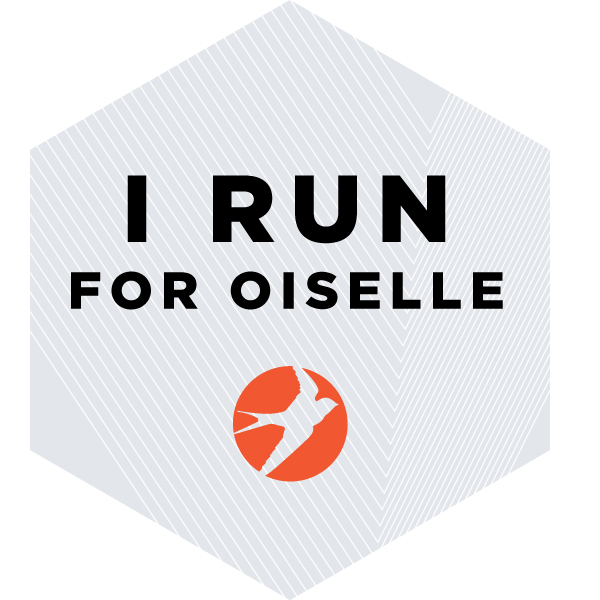 In the last couple of weeks, I've run 3 races (if you include my virtual 10K--recap coming soon! ), we road tripped to Connecticut to watch my stepbrother graduate from the Coast Guard's Officer Candidate School (woot! ), I had a busy/excellent Mother's Day with my crew, and (most importantly) my husband successfully defended his doctoral dissertation after 7 LONG years of hard work!!! I am beyond excited for him, and we are gearing up for the graduation this weekend. Me, my brother, and my stepbrother at OCS graduation. I am a proud seester! Go Coast Guard! These are all great reasons to be busy, but my head is spinning and it leaves little time for bloggy activities. Luckily, I am still reading, because I have so many good books on the docket right now that I'm having a tough time choosing between them! And for my running friends--my marathon training starts on Tuesday (the 17th), so I'm getting ready to fit that into my life as well. If you want to stay up-to-date on my reading/running activities, your best bet is Instagram (@thewellreadredhead), because a quick snap from my phone takes way less time these days than a blog post. ;) But lucky you, I did manage two mini reviews for today...and both of these books rocked my socks! I hope that Switzer's name is, at the very least, ringing a small bell for you, but if not: she was the first woman to officially run the Boston Marathon in 1967. (Roberta Gibb ran it before her, but "bandited" the race--ran it without registering--whereas Switzer actually registered (as K.V. Switzer) and ran it with a bib.) Because she registered with her initials, race officials did not realize she was a woman until the race was underway and the press trucks started following her. One of the officials was so furious that he actually tried to attack her/rip her bib off during the race--a now-famous confrontation that she was able to escape, as she went on to finish the race. Switzer's story was incredibly inspiring to me well before I read her memoir, but after I finished Marathon Woman, I had a whole new respect for her journey. After that first marathon (Boston was her first! ), she went on to cut over an HOUR from her marathon PR, win the NYC Marathon, and organize an international series of women's races that showed the world that women are just as capable of running (and competing) in distance races as men. All of these things had an integral role in making women's running a respected sport (leading to the eventual addition of the women's marathon to the Olympic games) and helped make it the mainstream activity that it is today. If you are a woman who runs, for fun or for competition, Kathrine Switzer is someone you should thank! To top it off, Switzer's voice in the memoir is wonderfully candid and funny, while still emphasizing the lasting importance of her work in women's sports. (I also had the AMAZING opportunity to meet Switzer at the Right to Run 19K in Seneca Falls, NY last weekend, and can tell you that her demeanor is every bit as inspiring and lighthearted in person!) This book is NOT just for runners! If you want a memoir that inspires, I can't recommend this one enough. My copy of Marathon Woman. Now featuring extra awesomeness! 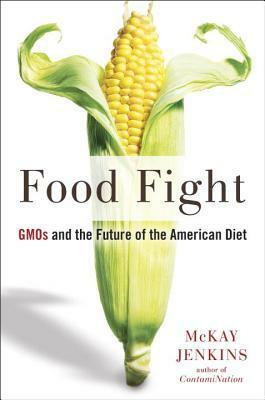 The #1 reason I picked up this book was because of its author. I've not found a Chris Cleave book yet that did not agree with me (and/or was downright amazing--Gold is one of my favorites). That said, I was a little unsure about the subject matter in this one, as WWII era historical fiction novels have been hit-or-miss for me in the past. I know that's a real broad genre to comment upon, but still. I had my reservations. 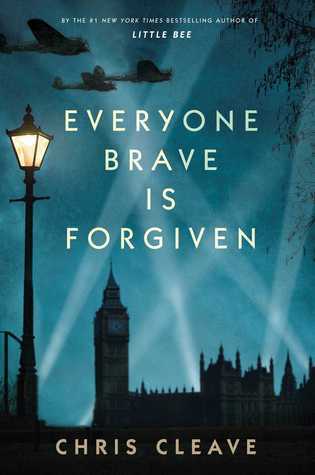 To give a very general synopsis, Everyone Brave is Forgiven is set in WWII London during the Blitz, and focuses on three (okay, the description says three, but I think it's more accurate to say five) extremely different characters that are thrown together in the desperate circumstances created by the war. WHY DID I HAVE RESERVATIONS? This is likely on my favorites list for 2016. You know how sometimes you're reading a book, and things are happening that are making you get very emotional, or at the very least are causing your blood pressure to rise, and it all just gets to be TOO MUCH and you have to set the book down for a while so you can catch your breath and recoup? This is that book. And I just love a book that can leave me breathless for a bit, don't you? In addition to being in awe of the events of the story as they unfolded, I was also impressed by the writing. Cleave's prose is insightful and incredibly quotable (thank goodness I read this on my Kindle, as the highlighting was fast and furious), and the dialogue (especially Mary's and Alistair's) is amusing and snappy. Even if you're unsure if this story is right for you, genre-wise, the novel is worth reading just so you can steep yourself in such excellent wordsmithing. Read. Enjoy. Thank me later! What are your current reads? Have you met any authors/gone to any book signings lately? What recent read of yours has had the best/most enjoyable dialogue? 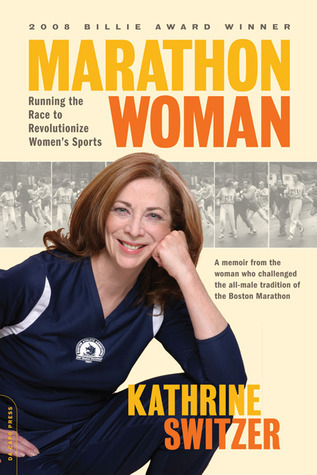 I have never heard of Kathrine Switzer, but she sounds like an amazing person. So glad I read this review! I loved Little Bee, but haven't read his others. Will definitely add this one to the list - thanks! Chris Cleave has yet to fail me. Gold is my personal favorite of his. But this one is also excellent! Let's Talk About The Incredible Virtual Run! The Well-Read Runner: Right to Run 19K RECAP!